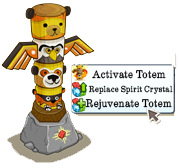 Totems are powerful items but how do they work and how do we build them? 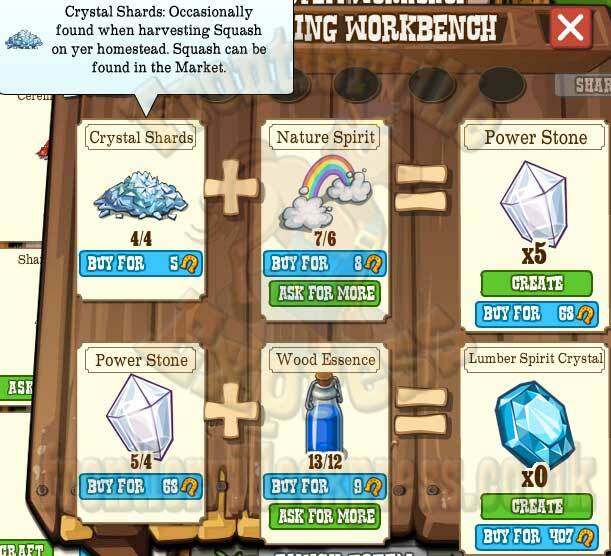 3) Once you have used up the tends, you can replace the Crystal with a new one for another set of tends. 4) If you leave the Totem for too long unpowered it can wither, 60 hours for Animals, 80 hours for Crops, 40 hours for Lumber. 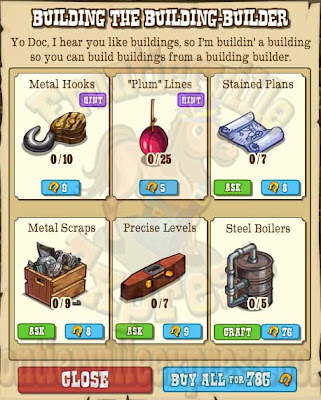 Then it turns grey and dull. 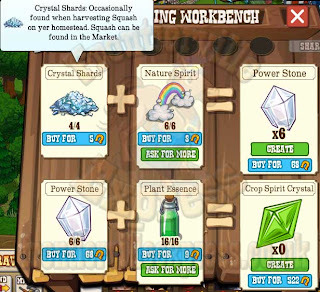 You can rejuvenate a withered Totem but it takes TWO of the Crystals instead of one. 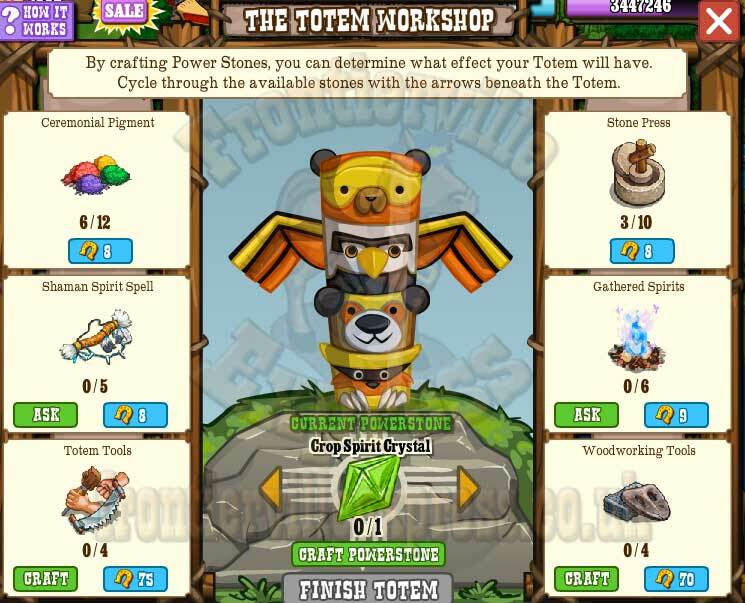 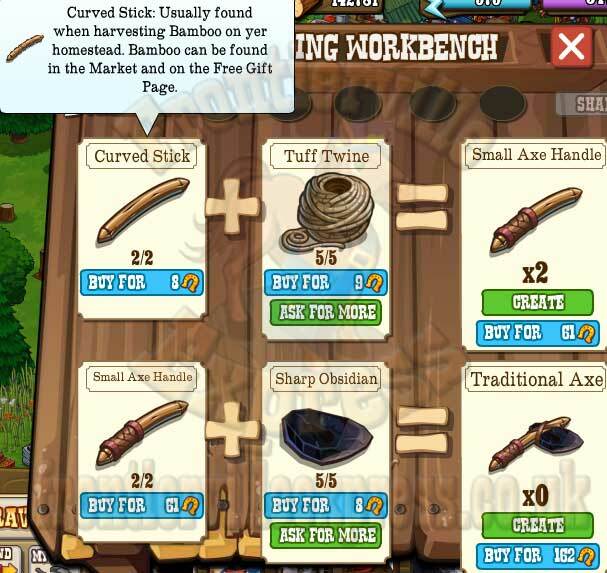 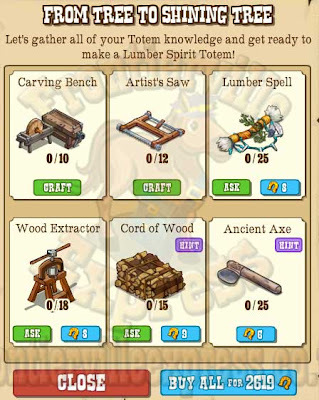 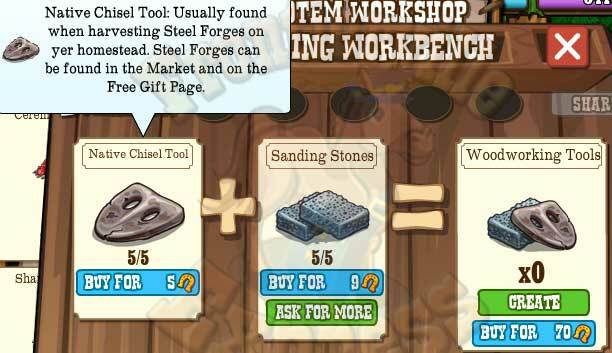 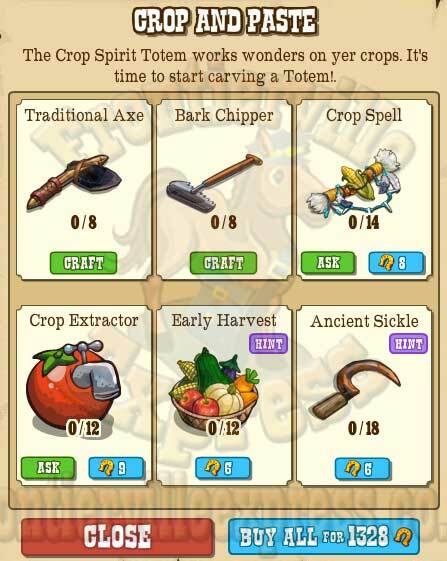 To craft Totems we're going to need a Totem Workshop. 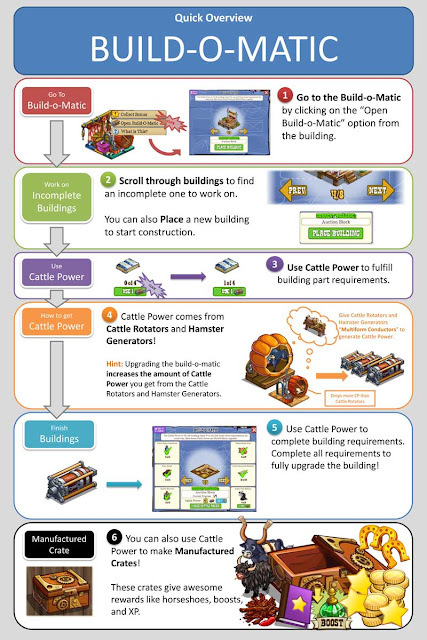 That means a four step build that is used as a requirement through missions 2-5. 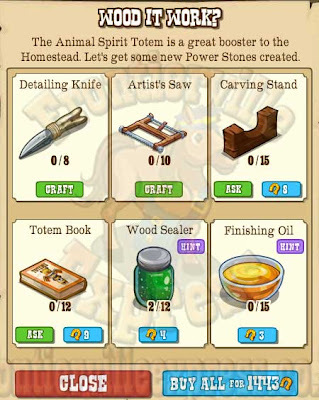 Each step is what we're used to, a combination of Wall Posts, Direct Requests, Crafting and Homestead Drops. 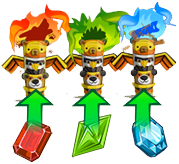 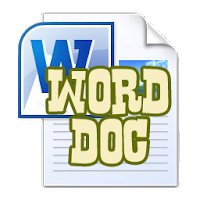 Some things are used across multiple stages so be sure to look ahead and plan ahead, you may be able to get stuff in advance to help. 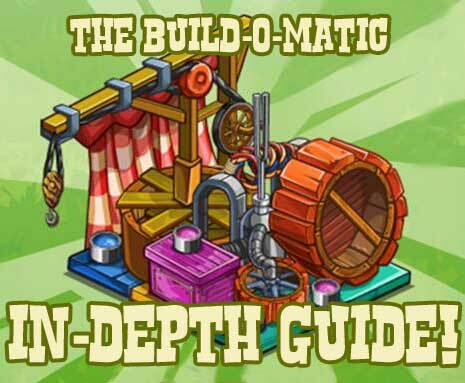 With a building as complicated as the Build-O-Matic it's fair think Doc's building instructions might take some time to work through! 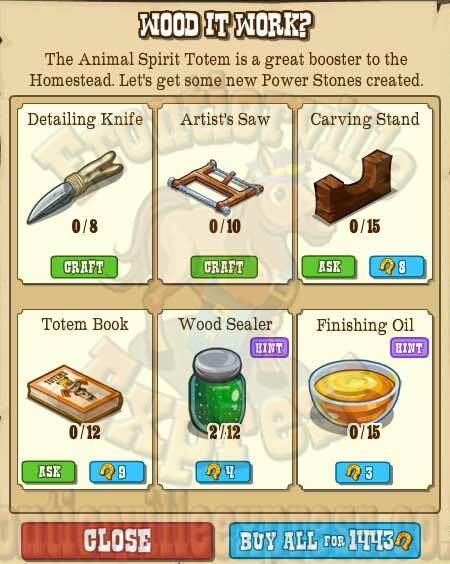 As usual we'll see a four step building process with a collection of requests, crafting and things dropping from homestead items. 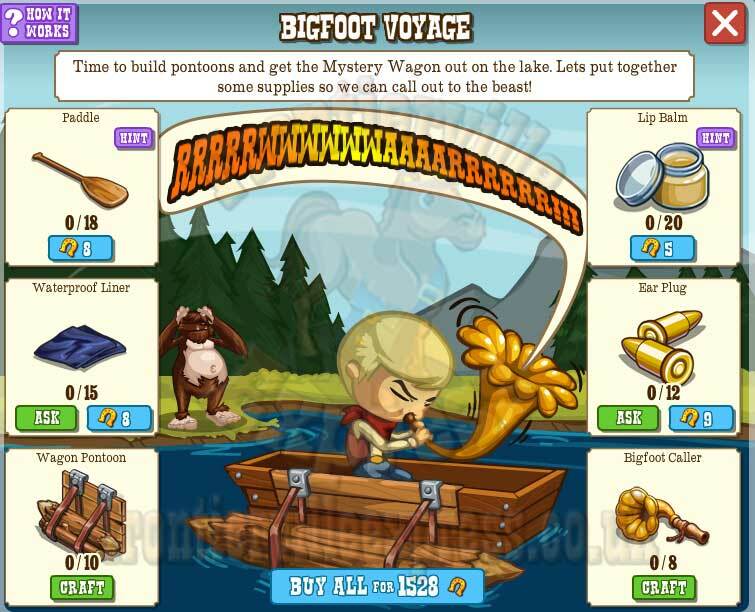 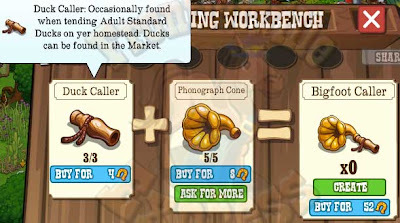 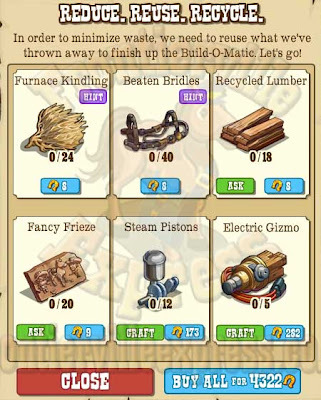 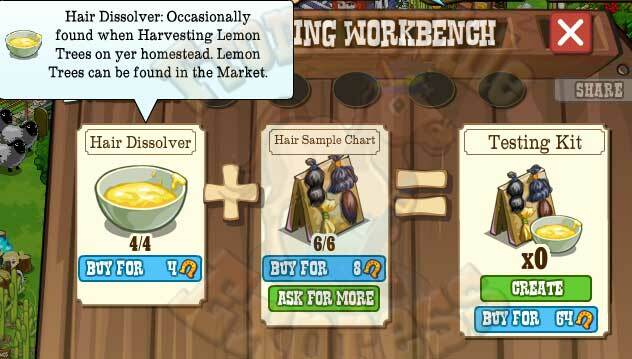 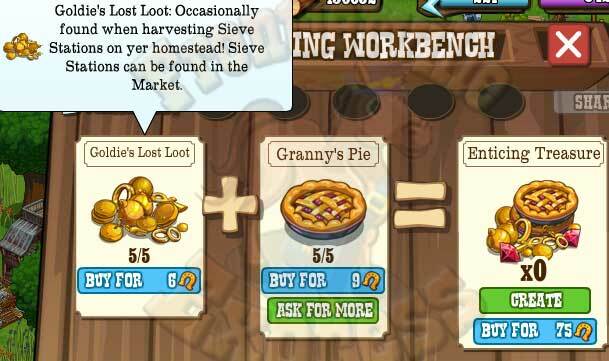 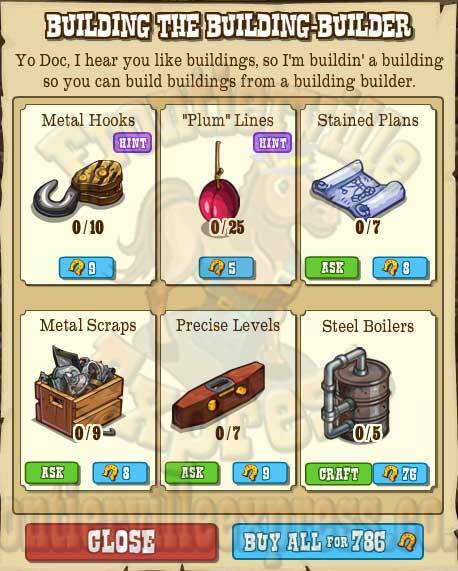 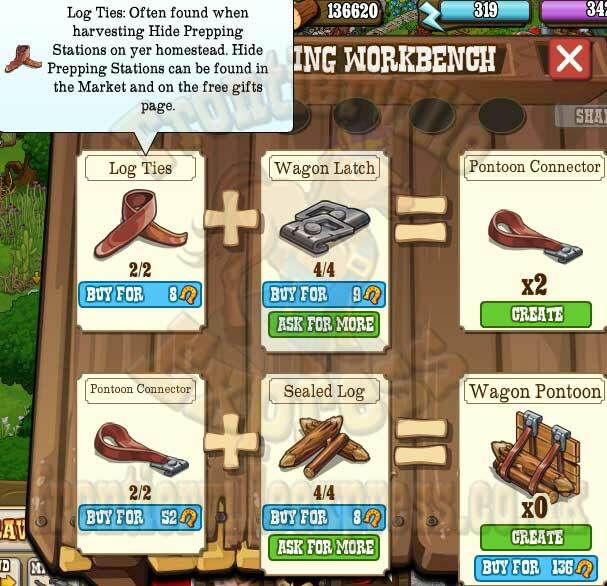 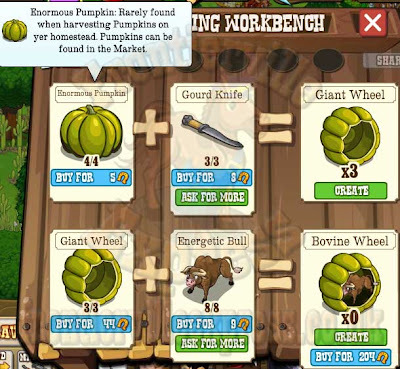 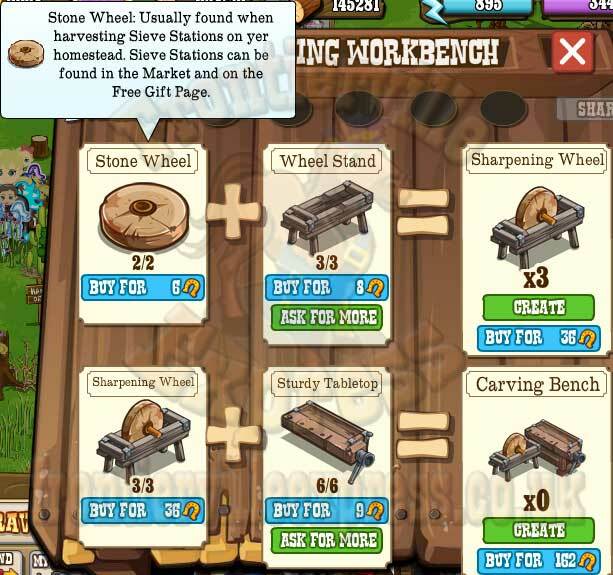 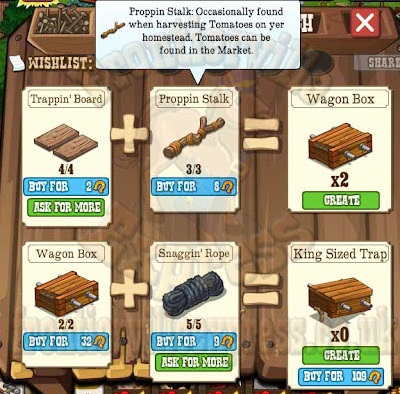 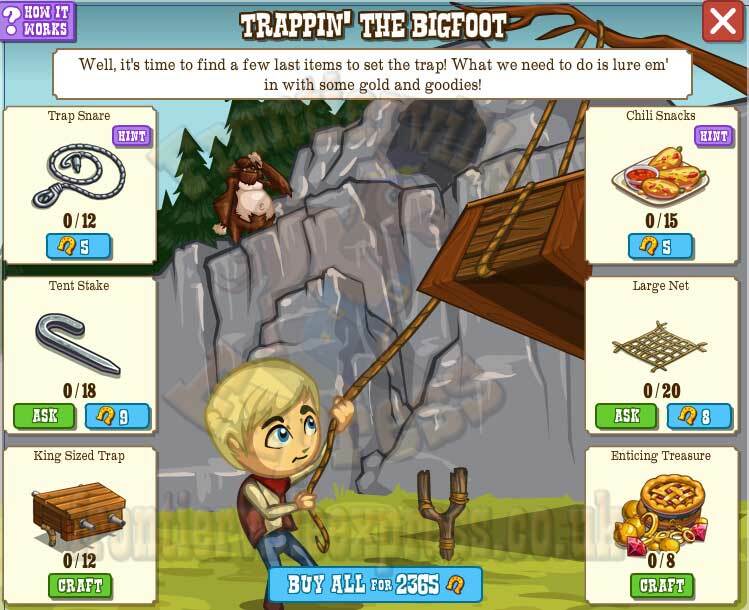 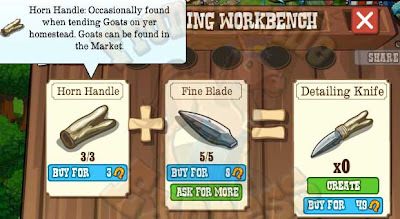 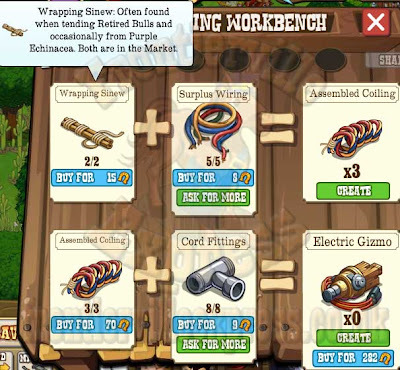 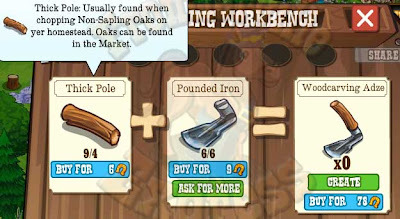 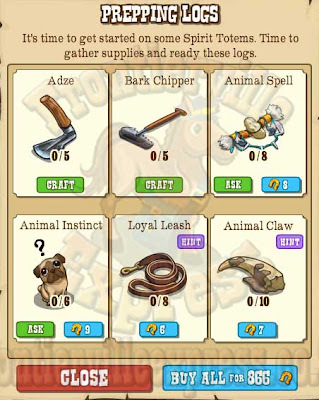 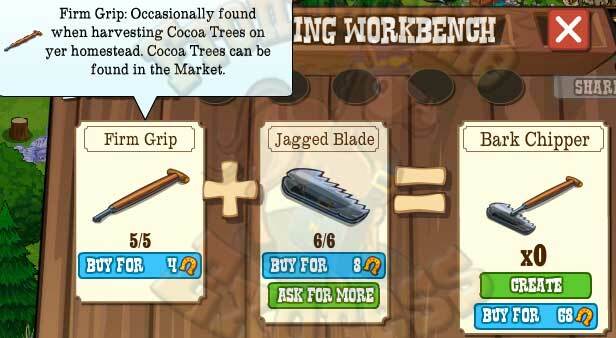 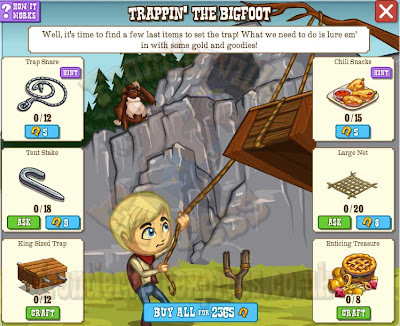 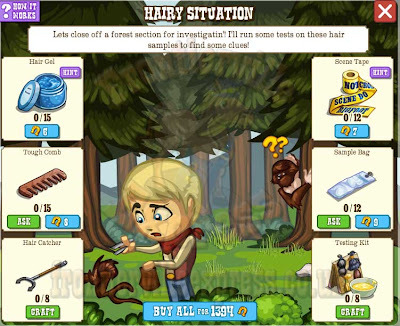 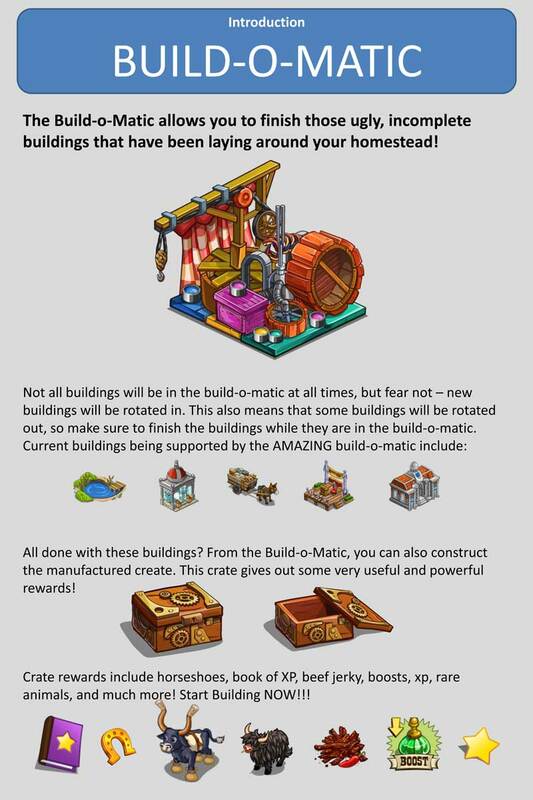 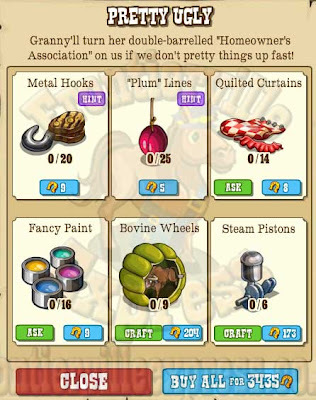 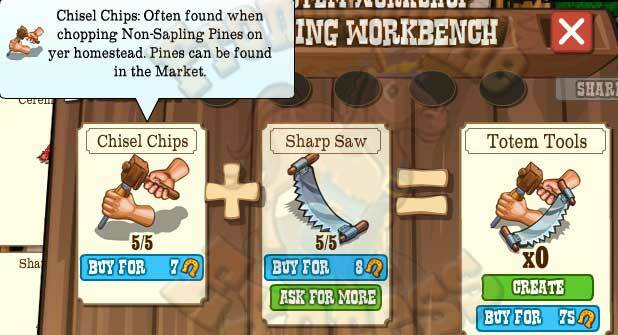 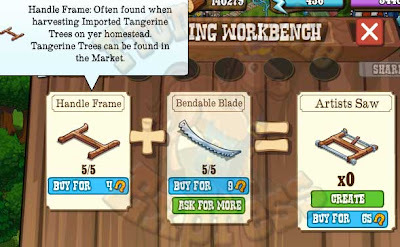 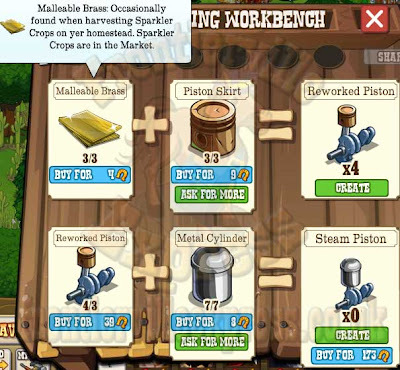 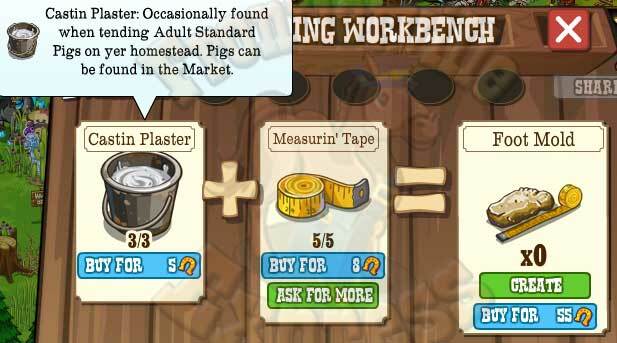 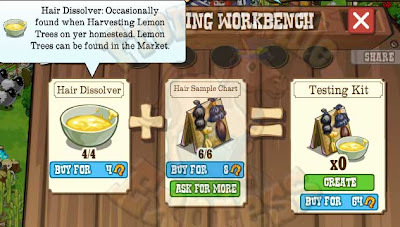 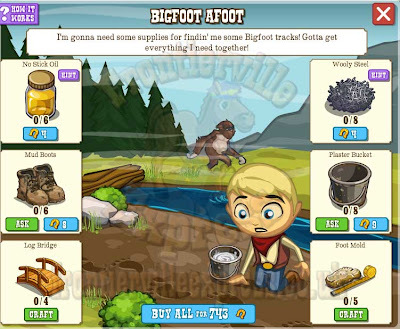 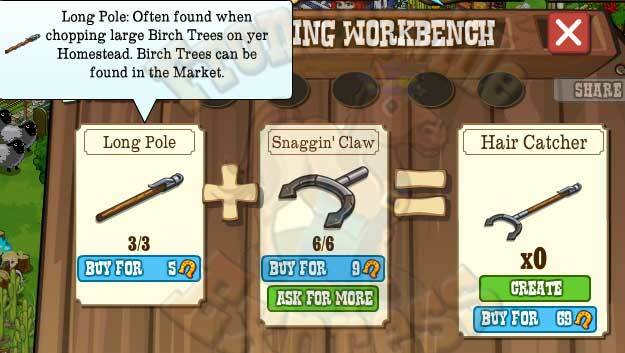 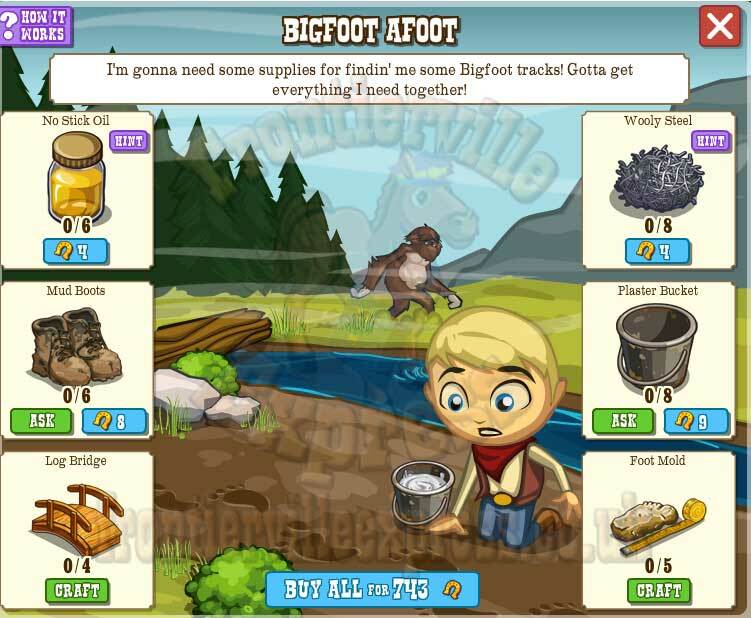 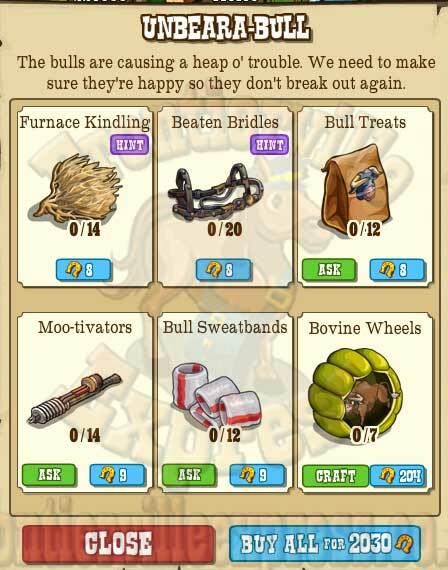 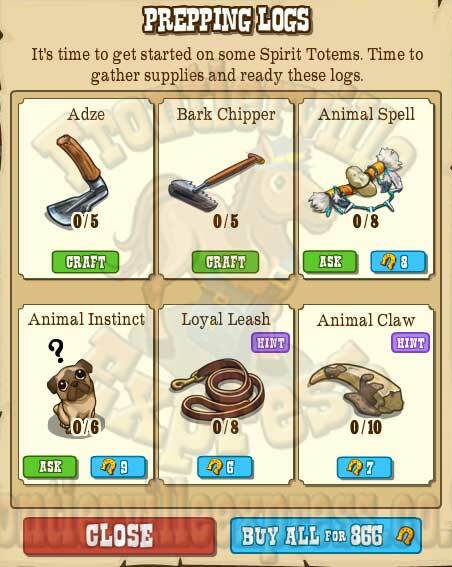 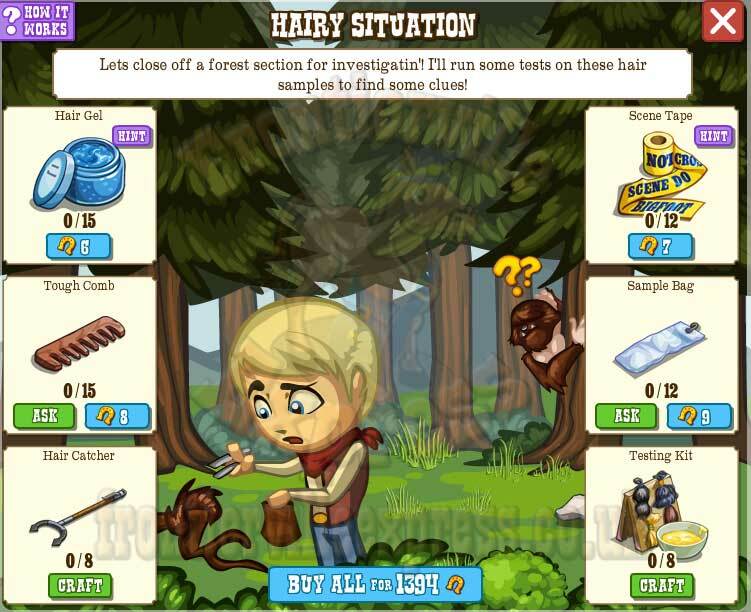 With the Build-O-Matic we do see a number of things repeated, homestead drops are copied in missions 1 and 3, and 2 and 4 and crafting items are also copied in missions 3 and 4.. 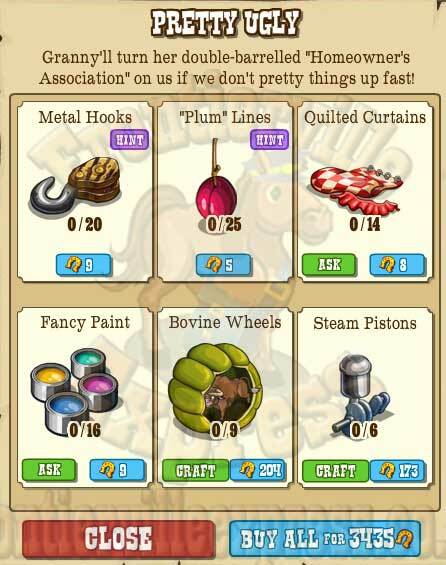 So keep an eye ahead of the game to see if you can collect in advance. This is the full in-depth guide on how to use the Build-O-Matic. 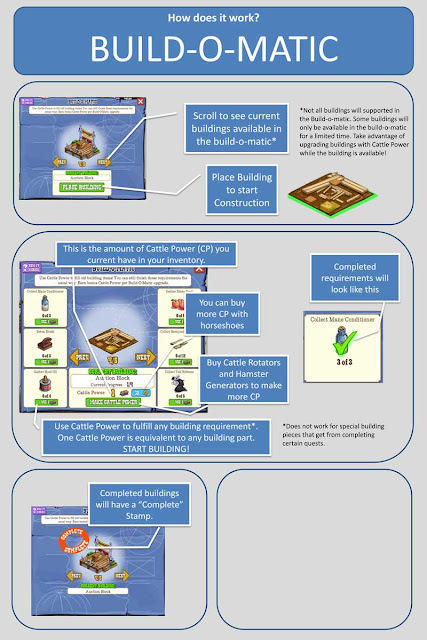 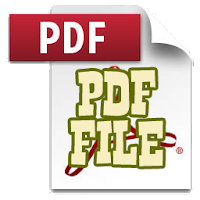 Or you can simply read the guide in image format below... Click the images to see full size.